My sticker goes to Blue Valley North freshman quarterback Henry Martin who led the defending 6A champion Mustangs to a 52-42 victory over Blue Valley West on Friday. It was the first win of the season for Blue Valley North after three consecutive losses to ranked teams to open the season. Martin was thrust into action in the second half of a Week 3 loss at Pittsburg when all-state senior quarterback Graham Mertz went down with an injury in the first quarter. Martin entered the game after halftime and calmly completed 10 of 15 passes for 160 yards and three touchdowns to lead the Mustangs back from a 27-10 deficit to a 31-27 lead. Pittsburg would eventually get a late score to spoil the freshman’s debut. But in his first start last Friday, Martin completed 21 of 30 passes for 288 yards and five touchdowns in the win over Blue Valley West. Martin connected with Cameron Burt five times for 140 yards and three scores, while Amauri Pesek-Hickson caught nine passes for 106 yards and two touchdowns. Pesek-Hickson also added 127 yards and a touchdown rushing. In other words, in a game-and-a-half, Martin has completed nearly 69 percent of his passes for 448 yards and eight touchdowns. It’s no surprise to some, Martin (5-11, 160) has received notable interest as a prospect before – having received an invite last spring to the U.S. Army All-American High School Freshman game. Gore rushed for 235 yards and a touchdown as Centralia shut out St. Mary’s Colgan, 20-0. The host Panthers dominated up front in rushing for more than 400 yards in the game. Centralia’s defense was equally impressive in holding Colgan to 66 yards of total offense. Colgan battled penalties and turnovers on the night, but Centralia’s offense also kept the ball away from the visiting Panthers. Colgan managed only 21 offensive plays in the game. Centralia, which began the season ranked No. 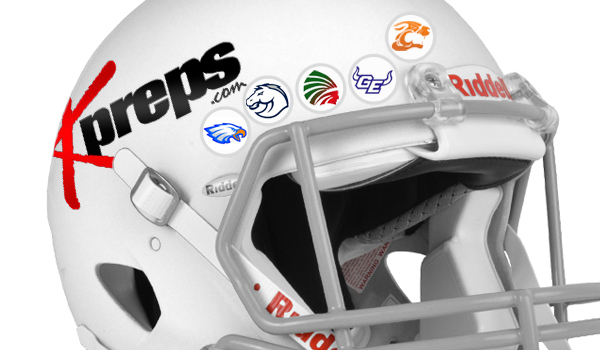 2 in the Kpreps Class 1A poll, evened its record at 2-2 with the win. The Panthers had dropped close games to 2A contenders Rossville (26-14) and Riley County (26-21) to open the season. We’ll give another sticker to coach Ryan Cornelsen and the Gardner-Edgerton Trailblazers. Coach Cornelsen has quickly made an impact since arriving at Gardner-Edgerton. His Blazers moved to 4-0 on the season with a 27-21 victory over Olathe East last Friday night. It’s Gardner-Edgerton’s first 4-0 start since the 2010 season when the Blazers were quarterbacked by Bubba Starling. Upon arrival, Cornelsen inherited a program in the midst of a 10-game losing streak, and now has Gardner-Edgerton sitting atop the Eastern half of Class 6A as the only remaining unbeaten team. In the win over Olathe East, quarterback Teven McKelvey rushed for four touchdowns and finished with 174 yards on the ground. When we highlight great performances each week, the majority of our attention gets directed to the offensive side of the ball. With that being said, we wanted to highlight the stat line that Ness City’s Andres Rios put up on defense in last Friday night’s 54-18 victory over South Gray. Rios, a 6-foot-2, 200-pound defensive end, registered five solo tackles, assisted on seven other stops, sacked the Rebel quarterback four times, had five total tackles for loss, batted down three passes, returned an interception for a touchdown, and blocked a punt through the end zone for a safety. How dominant was he? Coach Marc Cowles notes that on one possession, Rios had three consecutive sacks, then on fourth down, blocked the punt through the end zone for a safety. One another South Gray possession, Rios batted down passes on first and second down before picking off the third-down pass and returning it for a touchdown. Oh by the way, Rios also had three catches on offense for 43 yards and a touchdown. Early in the second half, Smith Center fumbled a punt inside its own end. Plainville recovered and eventually scored for a 10-7 lead in a matchup of Class 1A and Mid-Continent League rivals. Then, Smith Center went on an incredible 22-play, 80-yard drive that included 13 carries for fullback Hesston Maxwell. The Redmen converted three fourth downs, including a key 4th-and-4 from the Cardinal 10-yard line on a diving nine-yard catch at the 1-yard line. Maxwell scored on the next play. Smith Center later added a long run by Ethan Peterson for a 21-10 victory. The drive lasted from 9 minutes and 4 seconds of the third quarter to the 7:52 mark of the fourth. The drive was vintage Smith Center and helped the Redmen bounce back from a Week 3 loss to Phillipsburg where the Redmen were down 21-0 early and didn’t play up to their usual standards. As well, certain moments from each season reverberate long after the fall has concluded. In recent years, that includes Bishop Miege quarterback Carter Putz’s 98-yard touchdown pass to break the state record against Aquinas last fall, and Brady Dinkel’s miracle run on the final offensive play of the game to give Victoria the 2015 Eight-Man, Division II state title over Argonia-Attica. Time will tell if the drive will serve as the turning point for another Redmen state title run. Plainville, Elkhart, Ell-Saline and Sedgwick pose challenges in the west, and the east features multiple talented schools with little separation. But in the immediate aftermath, it definitely sticks as a signature moment through the first month of 2018.